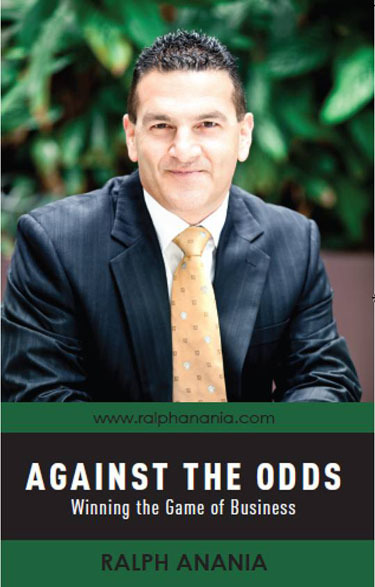 Ralph Anania is a unique executive business coach, international speaker/trainer and best-selling co-author. Ralph is here to guide and help you create a lasting positive change to fulfill your long terms goals, and enjoy the success you deserve. Ralph works with a variety of professionals, from small medium enterprise to coaches, consultants, speakers,authors, practitioners and business entrepreneurs world wide, on how to position themselves as authorities in their field so they can choose the lifestyles they deserve. 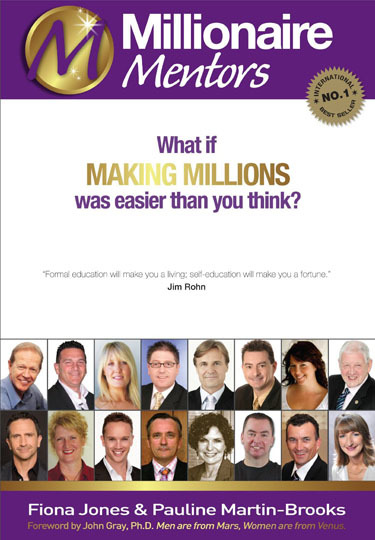 You only have to read and see what people he has worked with have to say about him to see he has inspired and helped many people with his insights about achievement, success, health and living a fulfilled life. Ralph Anania has an intense focus, dedication and commitment to learning, sharing, activating business owners who want to improve their business from his own wealth of practical business experience. Ralph does this through a combination of proprietary training, coaching and consulting business models, as well as through his online education, books, and speaking engagements. Ralph has shared the stage with some of the top speakers in the world like John Dwyer (the Institute of WOW), Jeff Slayter and Kane Minkus (Industry Rockstar Systems), Harry Koutsos (HK Investments) and many more. Ralph’s mission is to share and enrich the business community and support the results and sustainable change, not just in their organizations but more importantly, their life. Ralph’s team works with his clients to ensure targeted behavioural shifts with a focus making the most of your talents and opportunities and living the best life possible . Ralph and his team look forward to hearing from you and creating the results you want to achieve and more importantly deserve. If there was one sentence that best describes Ralph Anania, and sum up everything he does, is such that you only get one chance at creating that very important first impression, no matter what it is. Ralph grew up in Western Sydney spending most of his time before and after school in the back of his fathers fresh produce store, where he quickly learnt the true meaning of hard work. Ralph wasn’t aware of the lessons he was being taught at the time but realised years later that his father had taught him what he needed to know to begin paving the way to his business entrepreneurial future. In 1984, at the age of 20 Ralph, with his brothers, acquired their own retail fruit and vegetable store in Hornsby NSW. The store was run down and in need of a lot of work, something that the Anania family was not unfamiliar with. Acquired with sales sitting just under $1M per annum, by late 1980’s with a lot of hard work and extreme attention to detail “Hornsby Markets” was amongst the top 10 Fresh Produce stores in NSW, serving over 10,000 customers per week and with sales of $10M per annum. Ralph being the entrepreneur in the family wanted to expand by taking the business to another level and in 1990 the opportunity to become the supplier to the American restaurant chain ‘Sizzler’ saw the birth of a ‘wholesale’ division called “Fruitz” Pty Ltd. It went on to supply the Accor Hotels chain, Star City Casino, other clubs, restaurants and catering companies across the state. The company’s reputation of exceptional standards of quality and service meant the company quickly outgrew Hornsby and it moved operations to Sydney Markets. In 1991, Ralph’s 2 biggest clients went into receivership within weeks of each other to the tune of $30M. He had extended a substantial amount of unsecured credit to them and found himself staring bankruptcy right in the eye. “Failure” was not an option and against all the advice from his solicitors and accountants, Ralph sold everything he had and after only being married for a short time, he moved in with his parents. Ralph personally guaranteed his debts to all his suppliers and in the space of 30 months everyone was paid in full. What his father had taught him about integrity had become crystal clear at this moment. The respect Ralph gained from his suppliers, money could not buy and has carried him through and opened the doors to some great opportunities over the years. In 1994 Ralph was approached by the owner of a large IGA supermarket for guidance and advice on how to take his business to the next level, in order for him to share the success in his own store, as Ralph and his brothers had done in their Hornsby store. In just 4 weeks, with changes implemented by Ralph, the IGA store’s fresh produce sales went from $20K to $40k per week. This was the starting point of a strong partnership between Fruitz and IGA supermarkets that saw him become a preferred supplier. Word spread and before they knew it Fruitz was supplying 22 independently owned supermarkets across NSW. Once again the company outgrew their facilities and were on the expansion path again. In 1996 when the owner of Baulkham Hills Stocklands shopping centre in NSW approached Fruitz to take over a run down fruit market in their centre this was to become one of Australia’s state of the art fruit markets. It housed a full commercial kitchen with 2 full time chefs to show customers how to cook with all the different types of vegetables. It had a children’s play area and a functional training and education facility for schools all over the state to bring children in to be educated on fruit and vegetables. From the success of this retail concept the Sydney Markets authority invited Ralph to be part of the marketing committee which developed the “Fresh for Kids” program across school canteens nationally, which has now been running for over 16 years. The recognition of his accomplishments opened the door to speaking opportunities all over the world and this is where he found the love of the stage and assisting others who had big visions and no network support. On October 12, 1999, the day his second child was born, disaster struck Ralph’s business again. The National Australia Bank was on his doorstep with papers to foreclose, as the company’s CFO had embezzled $580K instead of making the payments to the bank. After serious negotiations with the bank, Ralph was able to get a 6 month extension to restructure his finances and move forward. In 2001 the supermarket industry in Australia went through major shakeup which saw the sale of the ‘Franklins’ brand. The sale was favourable for Gemfruitz, as they were to become the exclusive supplier to 90 stores across the state. This was to add operational pressure on the facility, which saw plans commence to build a larger facility to house the growth. While speaking at a fresh produce conference in Europe he was able to visit some very impressive state of the art facilities, which gave Ralph some great ideas in creating a brand new state of the art facility for Gemfruitz. In 2003 Gemfruitz moved into their own facility with their own training centre where they would educate and accredit fresh produce managers. Business continued to grow and mid 2004 the opportunity to acquire another store in the Westfield Shopping Mall in Penrith presented itself and after a full refurbishment, a change of culture and some intensive staff training, sales grew from $80K to $160K per week in the space of 3 months. Sales continued to grow and with 12 months the store had reached $10M per annum. In 2005, after lengthy negotiations Gemfruitz became the supplier to all P&O and Carnival cruise lines. This saw the company become a national player as sales reached $130M per annum. 3 Strikes and Out. A Rule in Baseball, Not Business. Disaster hit again in 2005. Franklins had been under an enormous amount of accounting pressure, to achieve better margins, so the executive decision was made to try their hand at dealing direct which had Ralph’s agreement terminated with 3 months notice. The result was a $6M loss which nearly sent Ralph broke, the Franklins decision had sales continue to spiral downwards, until 2011 when the Franklins business was eventually sold, which resulted in tens of millions in losses. This, on top of losing a $50M a year client, had Ralph staring down the barrel of bankruptcy once again because a large business also has large overheads. Instead of ‘accepting fate’ Ralph’s solution was to approach his largest competitor to merge. By joining forces, within 3 months they became the largest independent wholesaler in Australia and benefited from selling to a publicly listed company in 2008. During these years Ralph found himself being trusted by business acquaintances to assist them with turning their companies out of the path of serious troubles. Providing support from all the lessons he had learnt over the years gave him a satisfaction money couldn’t buy. Ralph knew his next step in life was to develop a series of training modules based on real life practical experiences to help educate small to medium size businesses how to avoid the costly mistakes he and so many other businesses had been through. Ralph believes SMEs keeps countries moving forward and the reason most small businesses go broke is because there was no one there to show them how not to go broke. Small businesses need to thrive and with Ralph’s programs he has delivered his message to thousands of people across the globe, changing many many lives, helping them take their businesses to a whole new level and in the process delivering massive dollars to their bottom line. By helping just one business owner at a time, he has made a difference to many families relying on that person, and that is what Ralph is all about. To hear how he could help you increase the opportunities in your business contact Ralph or meet with him on his Australian tour at a venue near you.